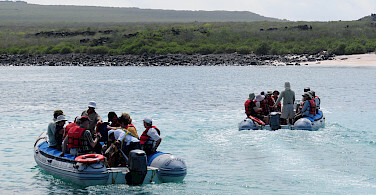 Exploring the Galapagos by bike and boat ensures that you receive the most unique Galapagos experience. 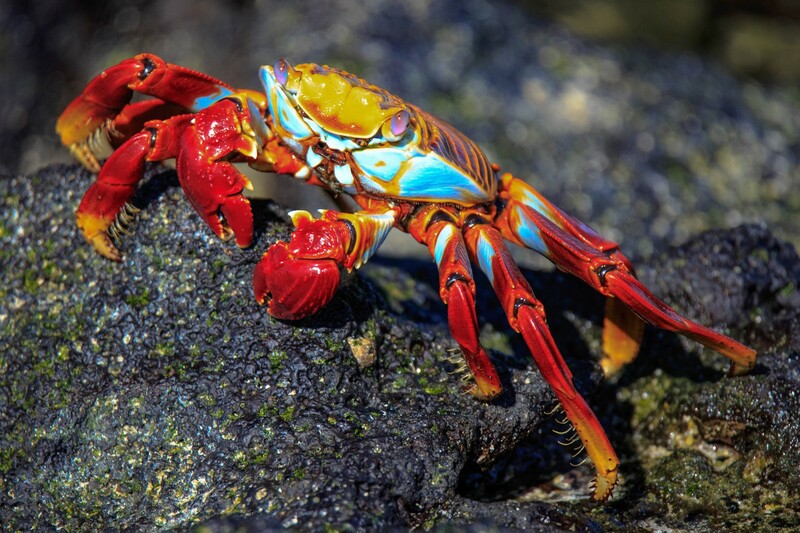 During this combination tour with both boat and hotel accommodation, you will truly be ‘up close and personal’ with nature and the rugged beauty of the islands, at the same time, respecting and conserving the environment on a sustainable travel focused experience. Just over the bow of your floating accommodation, you can watch the dolphins riding the wave inches away, or spot a whale in the distance. 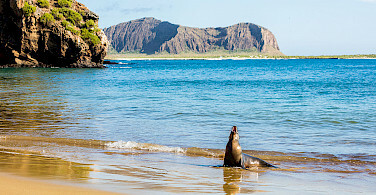 Anchoring in quiet and secluded coves, you can reach the beaches by dinghy, stroll amongst the sea lions, and watch the boobies dive into the surf. 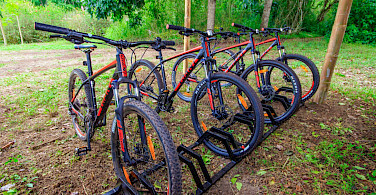 During the land portion, you will be based in the lush highlands of Santa Cruz Island and will enjoy scenic and exhilarating bike riding. 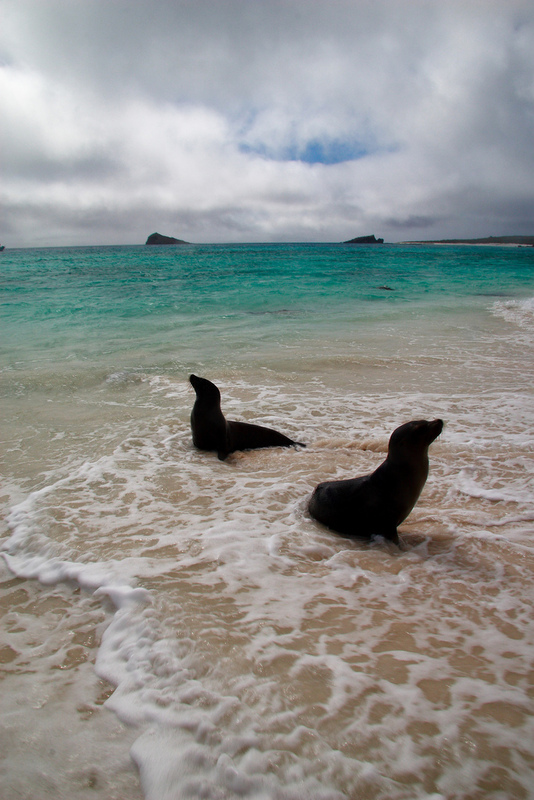 Come and experience the magical Galapagos! Fly to Guayaquil or Quito with connecting to San Cristobal Island. 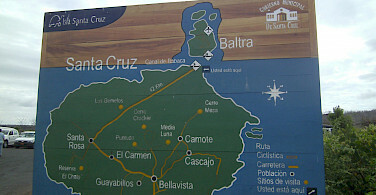 At end of the tour, return to either Quito or Guayaquil from Santa Cruz (Baltra) with connecting flights onward. 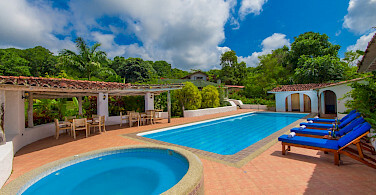 Airport transfers are provided from San Cristobal airport to your first overnight accommodation and at the end of your tour to Santa Cruz airport for connecting flights onward. 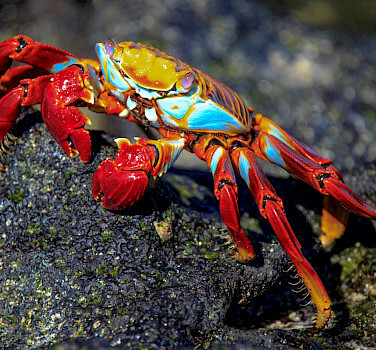 The Galapagos Islands are on the equator and the climate does not vary dramatically over the year. The climate can best be described as subtropical. There is, however, some variation driven mainly by the ocean currents. December to May can be best described as the warm season with average temperatures ranging from a low of 70°F/22°C to 84°F/31°C. This is also the “wet season” and there may be afternoon thundershowers. April to December is considered the “dry season” and is cooler, with average temperatures ranging from around 68°F/19°C to 82°F/27°C. Before you travel, please check your country's passport and visa requirements and the passport and visa requirements of the country/countries you plan to visit. For US citizens, the US Department of State website is a good source of information. The Country Information tab in the International Travel section provides details about passport validity, blank passport pages required, etc. For our other international clients, please be sure that you research your own country's travel requirements. Entry and exit requirements for Ecuador state that visitors must have a passport with a minimum of six months validity from the date of their entry. Under Ecuadorian law, U.S. citizens traveling for business or tourism on a tourist passport can enter Ecuador for up to 90 days per calendar year without a visa. 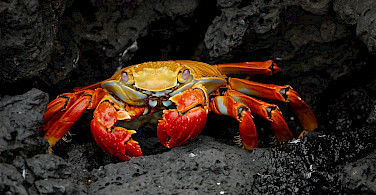 This is a unique experience that we have never before offered, a combination of boating, biking, hiking, snorkeling, and swimming to a destination that is on everyone’s bucket list, the Galapagos. On the detailed day to day itinerary below, you will find the rating for each activity offered. All activities, even if rated easy, do require a good level of fitness. 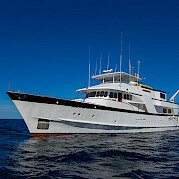 You will be accommodated in San Cristobal at the Casa Blanca Hotel (or similar) for one night, aboard the luxury motor yacht, the Beluga for five nights, and the remaining two nights will be at the Altair Galapagos Lodge on Santa Cruz Island. 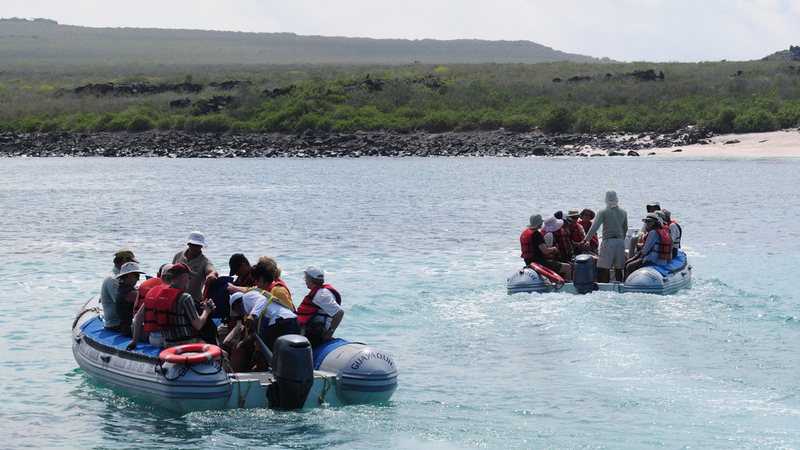 The Beluga has been outfitted exclusively for the Galapagos Islands and has been awarded the Smart Voyager certification for adhering to conservation standards and enacting practices that support the sustainable management of natural, cultural, and social resources. See below for detailed day to day. On arrival at San Cristobal airport, you will be met by your driver and taken to your hotel in San Cristobal. You have the evening to explore the town or relax. Overnight in Casa Blanca Hotel. 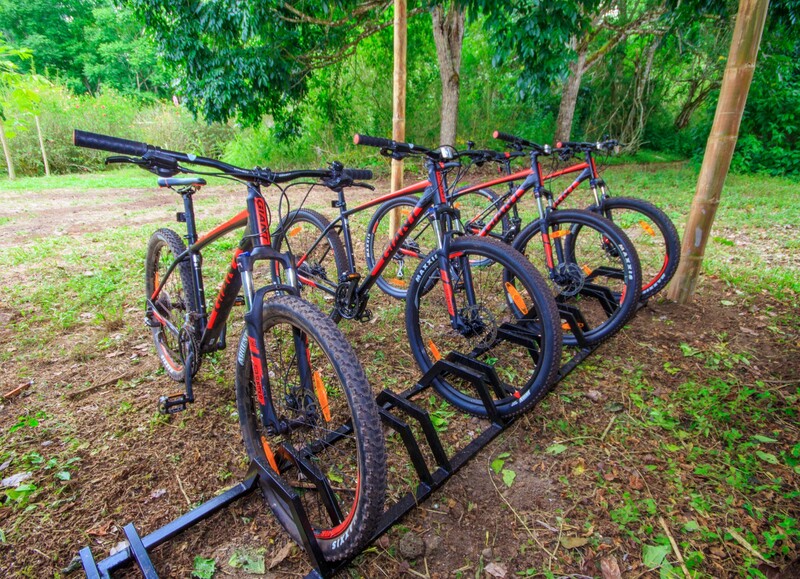 This morning you will be picked up from your hotel to start your biking adventure to El Junco, the only permanent freshwater lake in Galapagos. It is located at 659 meters above sea level and has an amazing volcanic crater, providing a 360-degree view of the island. 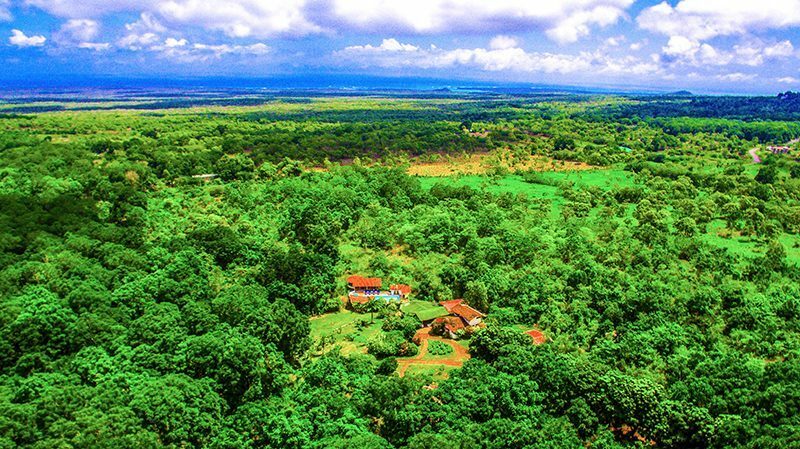 After a short drive (or ride), you will stop at Finca Otoy (Otoy Farm) where you will hike the bamboo forest trails and have a chance to sample exotic fruits before being transferred to La Galapaguera de Cerro Colorado, a free-range tortoise breeding center managed by Galapagos National Park. 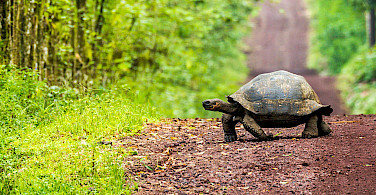 You will walk the grounds in search of wild giant tortoises and learn about the efforts this center does to support their conservation. 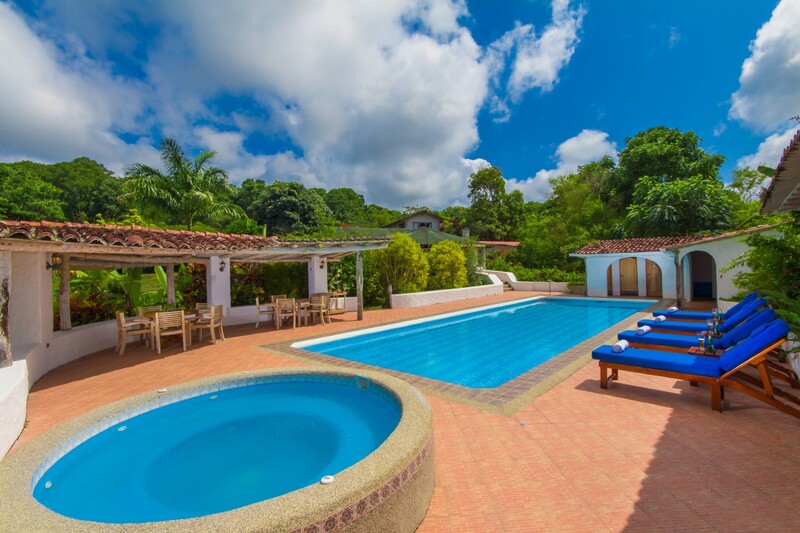 After, you will visit the beautiful beach of Puerto Chino. You return to town at approximately 4:30 pm to embark on the Beluga, a first-class motor yacht, your home for the next 5 nights. Española is the oldest of the Southern Islands and is the southernmost in the Archipelago. 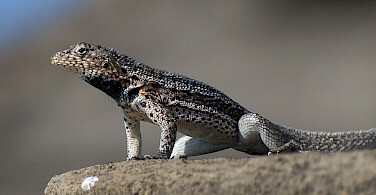 Because of its remote location, a unique range of endemic species evolved here. 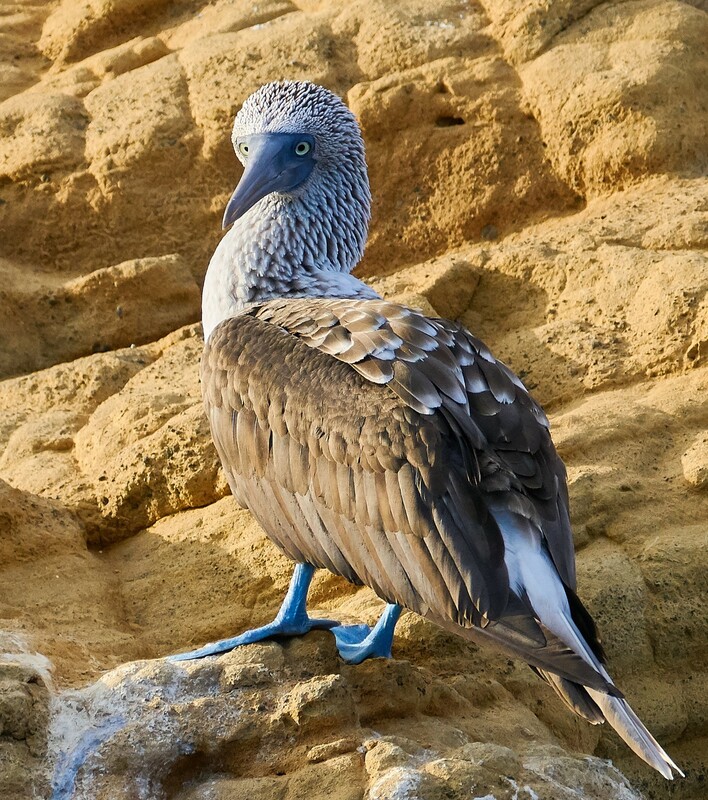 It is also the only island where the Waved Albatross can be seen during the breeding season from April to December. 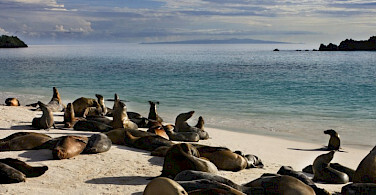 Located on the northeast of the island, the site has a long and beautiful white sand beach inhabited by sea lion colonies. 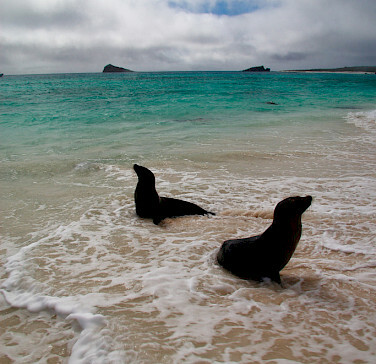 As you walk the beach, you will observe sea lions, mockingbirds, other shorebirds, and possibly see the Galapagos Hawk. 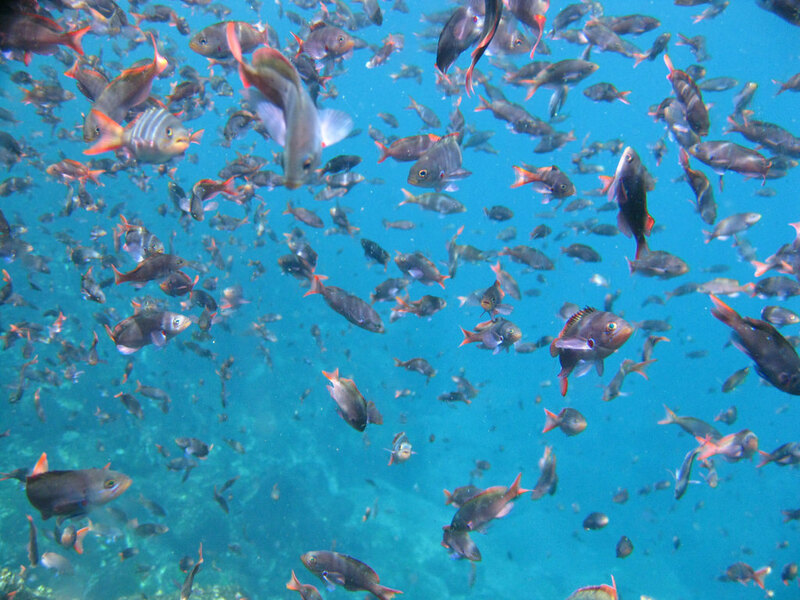 Islote Gardner and Islote Osborn are snorkeling sites with an abundance of tropical fish, reef sharks, and turtles. 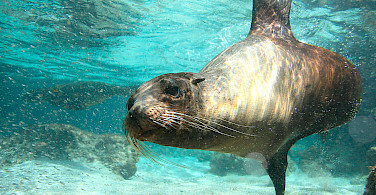 Fauna: Sea Lion colony, Hood Mockingbirds, rocks off the coast offer great snorkeling with reef sharks, turtles, and numerous tropical fish. 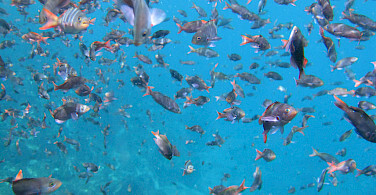 The wildlife at Punta Suarez is plentiful and varied. Along the cliff visitors can enjoy the blowhole where seawater is forced about 20 m into the air. The highlights are the Waved Albatross (April-Dec). 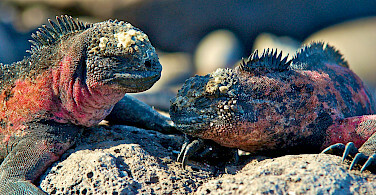 (only found on Hood), Galapagos Hawks, Blue-Footed Boobies, Nazca Boobies, and Española Lava Lizards. 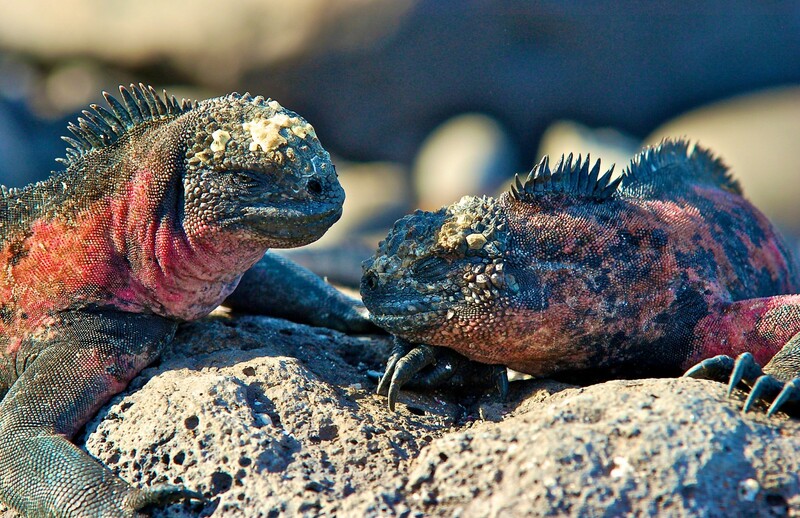 Fauna: Migrant, resident, and endemic wildlife including brightly colored Marine Iguanas, Sea Lions, Española Lava Lizards, Hood Mockingbirds, Swallow-tailed Gulls, Blue-footed and Nazca Boobies, Galapagos Hawks, a selection of Finches, and the famous Waved Albatross. 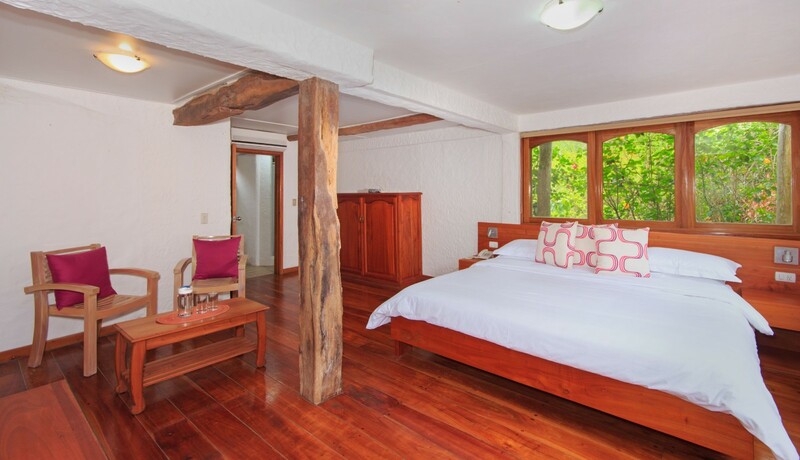 In Puerto Ayora, visitors can enjoy a stroll through town and shopping at one of the many tourist shops. You will visit the Charles Darwin Station, a research facility and National Park Information Center. The Charles Darwin Station has a giant tortoise and land iguana breeding program and interpretation center. 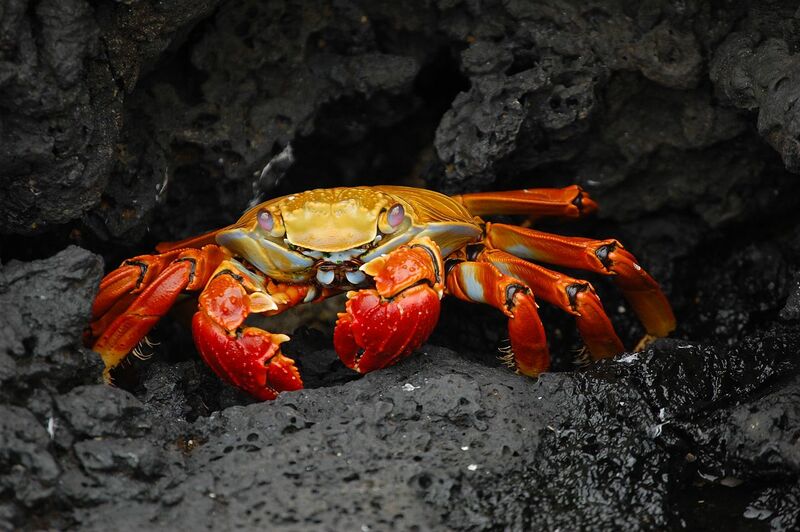 You will continue to the highlands to have lunch at a restaurant there, then on to a tortoise reserve, where Galapagos giant tortoises roam freely. 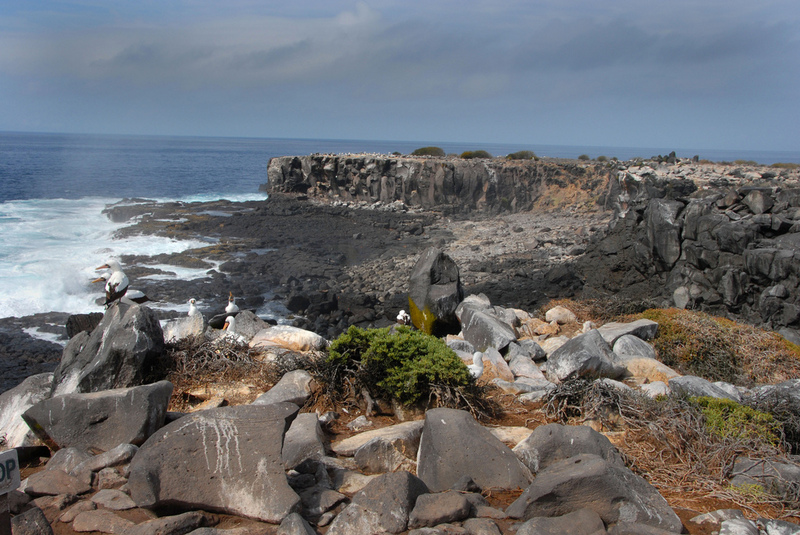 Sombrero Chino is a small volcanic island just off the southeast tip of Santiago. The name of the island describes its hat like shape. The island, which consists of two overlapping volcanoes, is the fourth largest in the Archipelago. A favorite for pirates and whalers, Santiago has an interesting history as well as some outstanding opportunities for wildlife viewing. 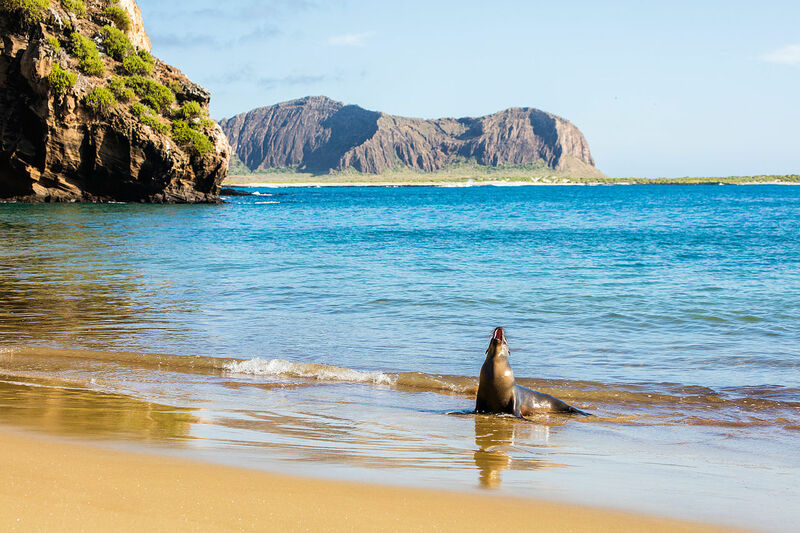 Highlights of a visit include the Fur Seal grotto, Pink Flamingo lagoon as well as the chance to see Galapagos Hawks and vermilion flycatchers. 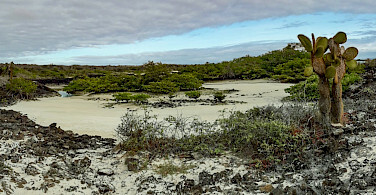 Located on the northeast side of the island, Sullivan Bay offers the possibility of seeing a recent Pahoehoe (ropy) lava flow, formed about 100 years ago. Enjoy a walk over this unusual landscape. 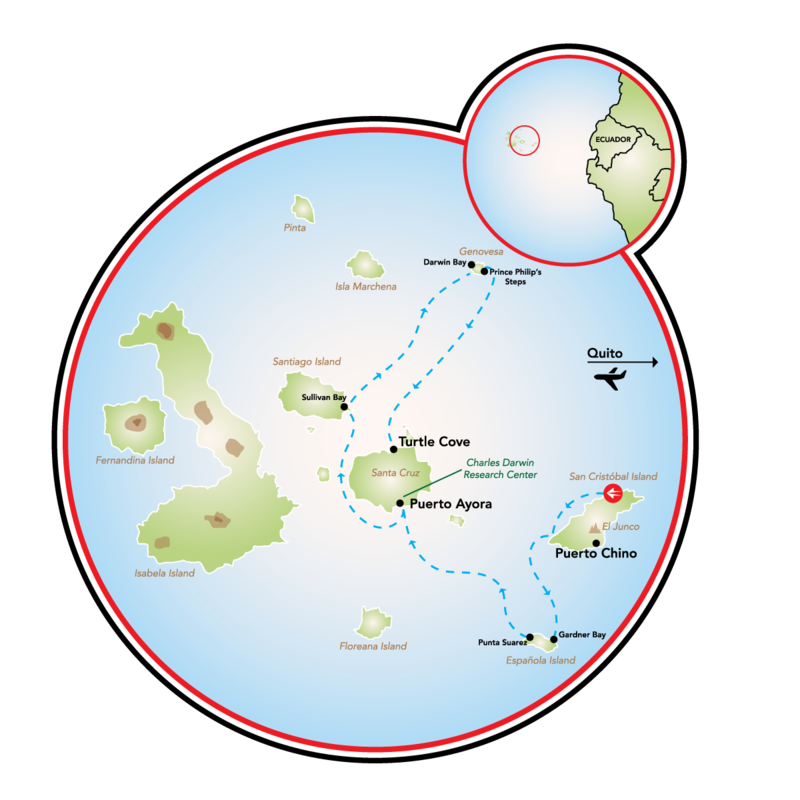 Located in the northeast part of Galapagos, this relatively small island is a low-lying volcano rising just above the ocean surface. Tower, an oasis for seabirds, is well worth the long travel time to get there. 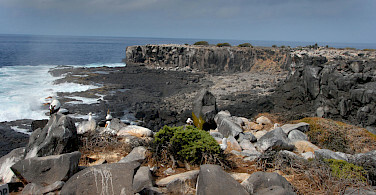 Tower attracts an enormous number of pelagic seabirds that come to nest. 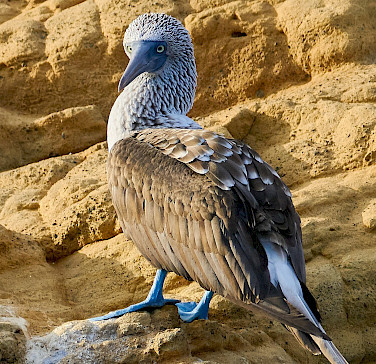 Great Frigate birds, Red-footed Boobies, Swallow-tailed Gulls, and Storm Petrels all breed here by the thousands. Darwin Bay was created when the island’s large crater collapsed below sea level. Inside this caldera, birds are visible by the thousands. 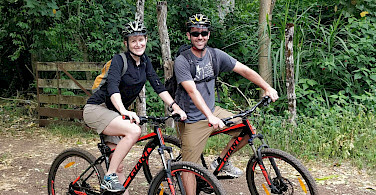 A scenic panga ride along the rocky cliff ledges will bring you to the base of the steep rocky steps named after his Royal Highness Prince Philip who visited the island in the 1960s. This site is abundant with bird life. 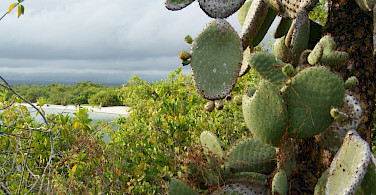 Turtle Cove is a red mangrove lagoon on Santa Cruz and a perfect example of how mangroves alter the marine environment to create a rich and unique habitat. 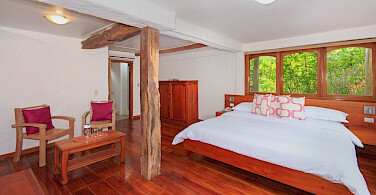 After you disembark from the cruise you will be taken to the Altair Lodge, your accommodations for the next two nights. 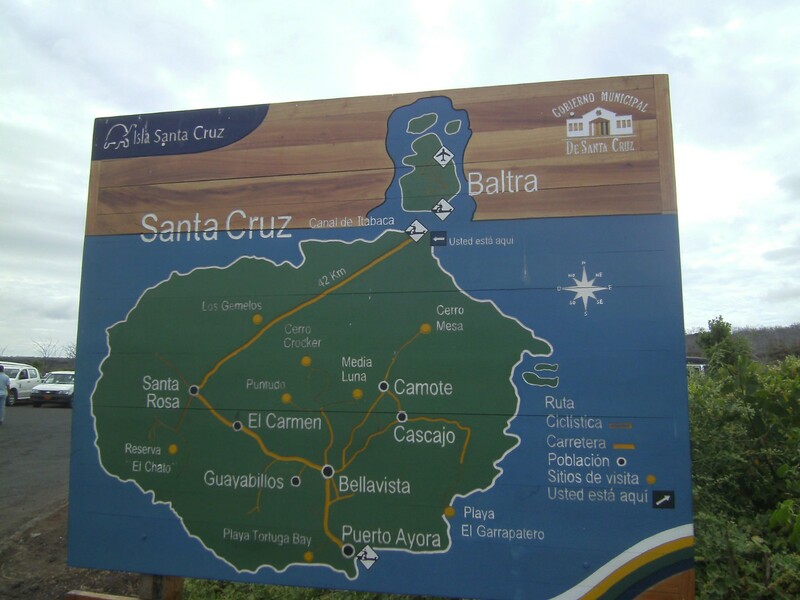 After lunch, your 8 km bike ride begins to El Garrapatero Beach. This is a great opportunity to observe the change in vegetation from the lush midlands to the arid low lands. Once you arrive at the beach, you will walk along a path that brings you to El Garrapatero beach. This is a fantastic beach for swimming, relaxing, and observing flora and fauna. After a short interpretation walk, you will have the possibility to kayak around the bay. Enjoy a snack before walking back up the trailhead where a vehicle will wait to take us back to the hotel. Those who would like can ride their bikes back to the hotel. 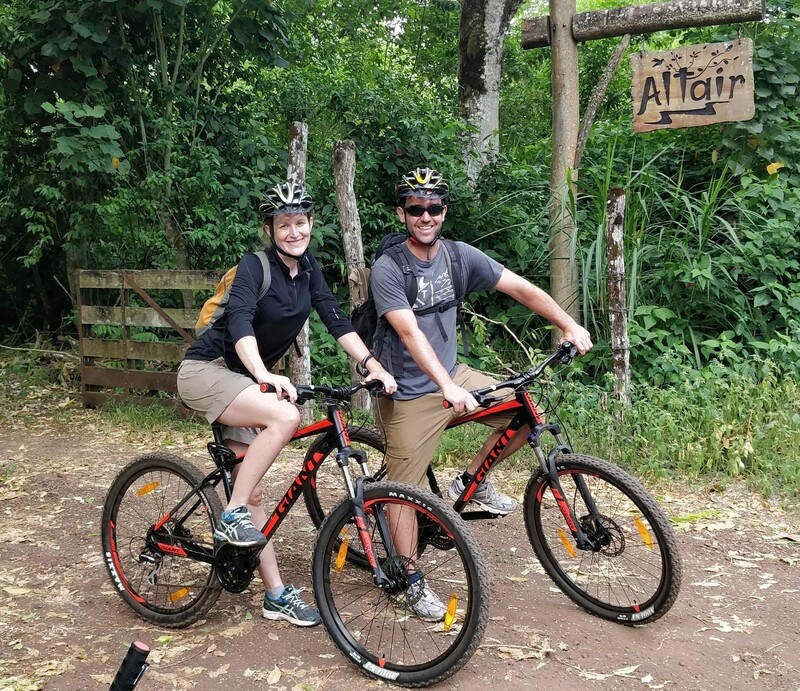 Today you will hop on your bikes and ride towards Columpio Magico, where you can explore lava tunnels and take in some great views. From here you will cut across a back road riding up towards Cerro Mesa (this part can be strenuous but there will be a vehicle for those that need assistance). On arrival in Cerro Mesa take a break to enjoy the views. Those who have energy can hike down to the bottom of the crater. 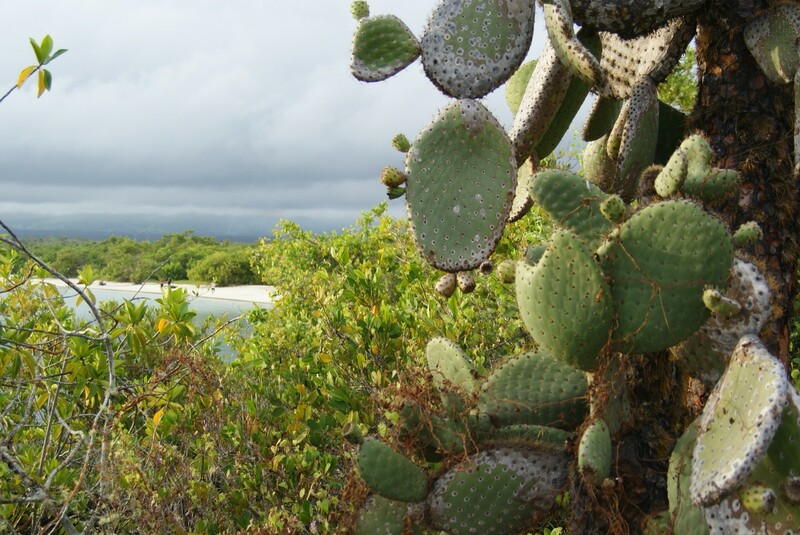 From Cerro Mesa, continuing cycling towards Bellavista, while enjoying views of the typical highland Galapagos farms. On arrival in Bellavista, be sure to stop to sample some typical chocolate bread. The route then leads back towards the hotel (to complete a loop), stopping off at El Trapiche where local caña liquor is made. Finish your day with a well-deserved and refreshing swim in the pool! At appropriate time transfer to the airport for your flight back to Quito or Guayaquil for onward international flights. This tour is run by Enchanted Adventures. Beluga Ecuador Deluxe Class Boat Embark upon the very spacious and comfortable “Superior First Class” motor yacht, Beluga, for your Galapagos experience. With panoramic windows in the salon and great deck space, this ship will become your comfortable base as you cruise.